14/20 GF 30mm Wire Hoop - Bend up end after stringing on beads/charms. 10pc pack is the equivalent of 5 pairs. What’s all the Hoopla about?! 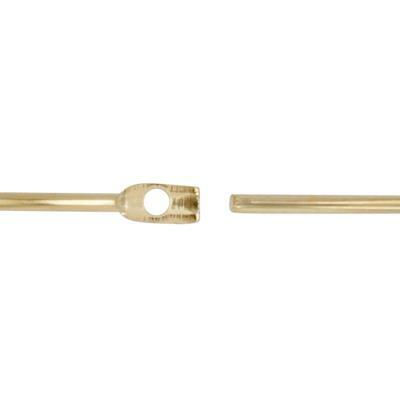 Well, let me tell you: The GF350 – 14/20 Yellow Gold Filled 30mm 22 gauge Wire Hoops! These stunners are made here in the United States. 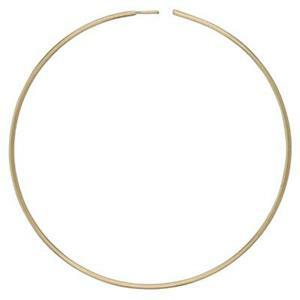 Just as plain gold wedding bands carry a certain cachet, these plain hoops carry the same distinction. Beautiful as is - or adorned with crystals, gold filled beads or a single or multiple charms. Just bend up the end after you finish stringing. Let your jewelry creativity decide. It’s what all the excitement and fuss is about!